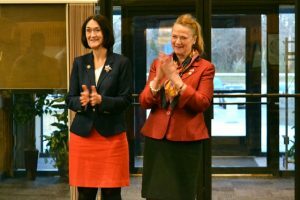 Reps. Kathleen McCarty, Holly Cheeseman and Sen. Paul Formica applauded an announcement made by Governor Ned Lamont and Department of Energy and Environmental Protection (DEEP) Commissioner Katie Dykes on Friday, March 15th that Dominion Energy and Connecticut’s two electric utility companies, Eversource and United Illuminating (UI), have reached an agreement to retain the Dominion-owned Millstone nuclear facility, which the legislators explained is good news for the state’s environment, economy, and ratepayers. Reps. McCarty and Cheeseman along with Sen. Formica fought tirelessly since the 2017 to advocate on behalf of this agreement and to protect the Millstone nuclear facility, as the loss of this facility would have been disastrous for the state and region. Specifically, the deal that utilities have negotiated secures Millstone’s zero-carbon power for ten years, and reduces by nearly 50 percent the incremental ratepayer cost of the contract, as compared to the original bid selected. This new agreement will also allow the state to move forward with new investments in renewable and clean energy, which is needed to transform our grid. Governor Lamont also announced a commitment from all New England governors to evaluate regional mechanisms to help maintain critical nuclear and clean energy facilities. The ten-year agreement between Dominion and the utilities will now advance to the Public Utilities Regulatory Authority (PURA) for review. The agreement assures that Millstone will not retire, thereby preventing an increase of regional carbon emissions from the electric grid of 36.5 million metric tons from replacing Millstone’s 2100 MW of carbon-free energy. The agreement also ensures that Connecticut can continue its progress toward significant economy-wide greenhouse gas reductions of 45 percent below 2001 levels required by the state’s Global Warming Solutions Act. This project selection, and the ensuing contract, was conducted in response to the determination by DEEP and PURA that the Millstone nuclear facility was at risk of early retirement. 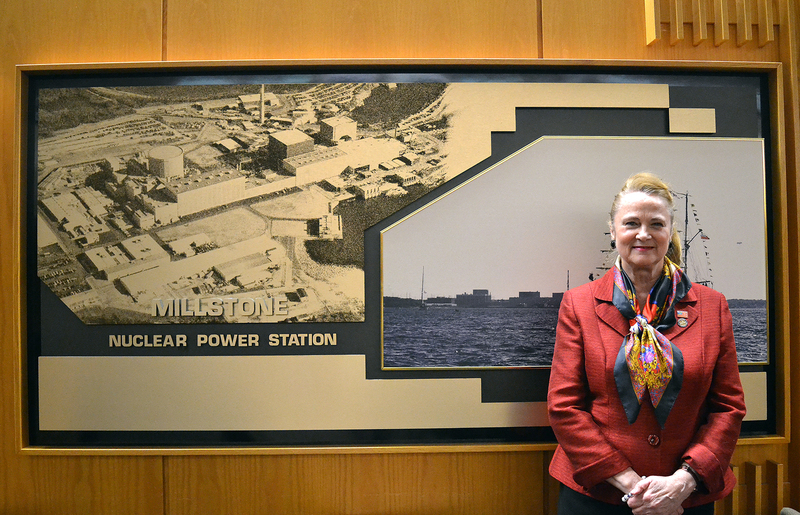 The Millstone nuclear facility provides around-the-clock, zero-carbon, fuel-secure electricity that meets more than half of Connecticut’s electricity needs. Had Millstone retired, the region would have seen energy and capacity costs increase by approximately $8 billion. In addition to preventing unacceptable carbon emissions increases and astronomical replacement costs, the Millstone facility provides well-paying stable jobs for 1,500 Connecticut employees in the southeast region of Connecticut. This agreement will retain those important jobs going forward.